A great deal has been written about Tagore: thousands of introductions, and hagiography after hagiography, as if no one has heard of him so he has perpetually to be introduced. It is my belief that we need to read what he has written, not to pick out poetic plums to quote but to understand what he said. The following article (originally for a permaculture blog) is an example of how relevant Tagore’s essays and poems are for the world today. It encourages people to read three of Tagore’s essays and two of his poems, all available on this site. Permaculture is growing. Education and research are expanding. Interesting demo sites are becoming available to visitors. Permaculture ‘dots on the map’ are multiplying. All this is good news. What was a lifestyle choice for a few, based on a set of ethics, principles and techniques, is starting to look like a movement. Some people may be drawn to permaculture as a political movement. Others would prefer an anti-political understanding of permaculture, which still offers the prospect of widespread world change. The Bengali poet and polymath, Rabindranath Tagore (1861-1941) offers such a model. Tagore often insisted he was not a philosopher or a scholar. He was not interested in theories or utopian visions. His authority comes from his practical efforts over fifty years to revive traditional Indian society, which had been severely disrupted by British rule. His remedy for a broken society was to heal it from within. Cooperation was the key. People must get together in their local communities to help each other and themselves. To give them a start, they would need advice and expertise, suitable training and education, health and welfare provision, affordable finance, and encouragement towards developing participative government and local conflict resolution. Most importantly for Tagore, to counter fatalism and apathy their spirits must be raised, by reviving traditional arts and crafts, music and story-telling, fairs and festivities. 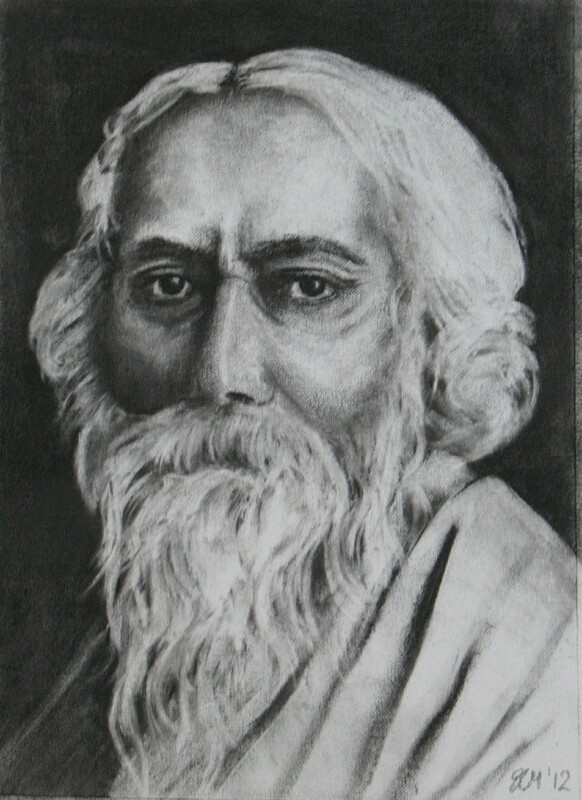 Tagore’s motivation changed over the course of his rural reconstruction efforts: initially he felt sympathy and a sense of responsibility as a landlord, next he tried to set out a national programme of constructive self government, lastly he pinned his hopes on bringing about change through education. Gather yourself, O Poet and arise. If you have courage bring it as your gift. poor, empty, small, confined and dark. bring once more from heaven the light of faith. It was a revelation for Tagore when he was put in charge of the family estates in East Bengal (now Bangladesh) in 1891. He was deeply moved by the natural beauty of the region and the simple life of the common people. He saw the deep despair which pervades rural life all over the country and determined to improve the conditions with programmes of rural development. The root cause of this despair was British imperialism. The British introduced private land ownership and created an urban middle of professionals and administrators. The absentee urban landowners exploited and neglected their tenants. What in English concepts is known as the State was called in our country Sarkar or Government. This Government existed in ancient India in the form of kingly power, but there is a difference between the present English State and our ancient kingly power. England relegates to State care all the welfare services in the country; India did that only to a very limited extent. Tagore goes on to explain that in India, ‘social duties were specifically assigned to the members of society’, and the king made his contribution, like any other wealthy member of society, and the word for social duties is dharma, which ‘permeated the whole social fabric’. Tagore was unable to persuade the English-educated urban intelligentsia to adopt his political programme, and the negative boycott turned violent and destructive, and so he turned his back on the protests and returned to his base at Santiniketan, where he implemented the Constructive Swadeshi ideals on a small scale. He had started a small school at Santiniketan in 1901 where the teaching encouraged creativity, engagement with nature, local food growing, and learning about life in the villages. The school grew in numbers and led eventually to Tagore establishing an international university named Visva-Bharati. A key element of the university was its Institute of Rural Reconstruction named Sriniketan. Tagore described the philosophy behind this venture in his essay ‘City and Village’, in which his aims appear very modest. He explains that rather than think of the whole country, it is best to start in a small way: ‘If we could free even one village from the shackles of helplessness and ignorance, an ideal for the whole of India would be established’. Obviously Tagore failed in his efforts. Vandana Shiva, the indefatigable campaigner for Indian farmers’ rights against agribusiness monopolies, tells of the poverty and despair, with more than 270,000 farmers caught in the debt trap committing suicide since 1995. Curiously enough, Tagore’s failure then gives us hope a century later. He foresaw, if not the circumstances Shiva describes, but the dehumanising effect of industrialism and the nation state, and he wrote a penetrating critique in ‘Nationalism in the West’, which is the text of a lecture he gave over twenty times in 1916 in the United States. Again, under that sky, have come marching columns of the mighty British, along iron-bound roads and in chariots spouting fire, scattering the flames of their force. I know that the flow of time will sweep away their empire’s enveloping nets, and the armies, bearers of its burden, will leave not a trace in the path of the stars. Through all these changes, the people who carry out the work go on: ‘Empires by the hundred collapse and on their ruins the people work.’ Translated into permaculture terms, and the situation we are faced with today, what Tagore is saying is that all parasitic empires, including modern industrial civilisation, the nation state and finance institutions, will inevitably exhaust the resources which sustain them, and so decline and fall. Then the people who work will reclaim and revive the degraded land, and life will go on. The message for the permaculture movement is that we need not think of saving or changing the world but of returning to normal, and rediscovering the convivial delights of being human. ‘Anti-political’ can mean not ‘Party political’, whether Green or Leftist; also not reliant on influencing political leaders at national or international levels; also not understood in revolutionary terms, whether Marxist or Anarchist. Some of us, of course, take the view that everything in human life is political. An indication of Tagore’s genius is given by the tribute to mark Tagore’s 80th birthday by Ramananda Chatterjee, ‘Rabindranath Tagore’ at www.tagoreanworld.co.uk . This site is under development. It is intended to hold copies of essays by Tagore and others which are directly relevant to his philosophy of world change.